The first step of an intranet project is to determine how the intranet will help your organisation to meet your overarching business goals. In doing so, you will be creating your intranet goals. These will form part of your business case. This step is crucial to a successful intranet; good intranets have a vision and grow alongside the business. 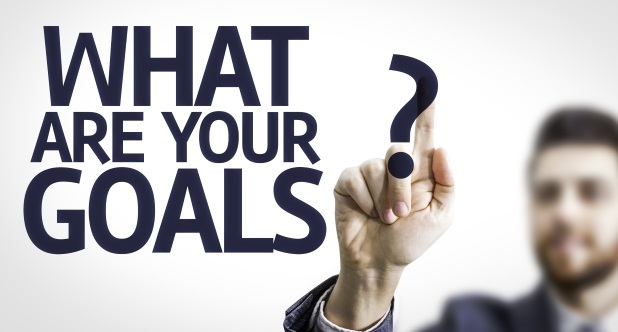 This blog offers advice on how best to go about discovering and defining your intranet goals. For more information about managing your intranet project, download our free guide. Intranet surveys can be a great way to get a general feel for areas of the business requiring improvement. However, stakeholder interviews provide a more thorough and conclusive insight into the problem areas within a given business and are particularly useful for determining intranet goals and objectives. Stakeholder interviews give you the opportunity to interview key individuals that are involved or affected by your intranet project. In addition to giving you ideas, it also gives you the chance to explain your vision for the intranet and how this relates to the objectives of the business. It is important to ask the interviewee questions about their role, focusing on the tasks they perform and the people they interact with. Try to avoid talking about solutions to the problems they are facing, instead let them help you define these issues. You will then be able to turn these problems into your intranet goals and objectives. These interviews should not be overly structured, allow the interview to follow the natural course of conversation. Try to understand what matters to each interviewee/employee individually; what are they measured on, incentivised by or value? Look for ways to improve this and align your intranet goals and objectives. I hope this blog has been useful in illustrating the importance of intranet goals and has provided some useful tips for how to determine your own. For information on how to conduct stakeholder interviews (including questions to ask and how to write up the feedback you receive) download our free guide. Additionally, if you are trying to write your business case, setting out your business goals, download our Business Case Guide here.